Gary Cosby Jr./Decatur Daily Courtney Carpenter Boyll was a rising star athlete in 1994 when a car wreck left her paralyzed. 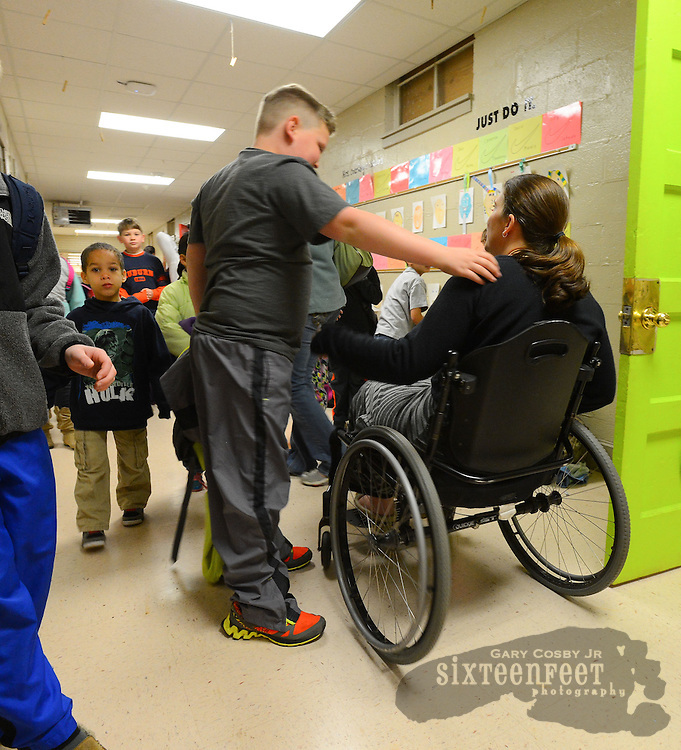 Twenty years later she is a wife, mother of three and third grade teacher and does it all as a paraplegic. Students greet Courtney with hugs in the hallway at Moulton Elementary School.